For those that have ever watched a Warren Miller flick, a Travis Rice movie, or a Matchstick Productions film you’ve seen the amazing terrain that’s available at Selkirk Tangiers heli-skiing. Don’t be scared off by the mega-sized cliffs or the scenes of them jumping out of helicopters. In fact if you’re an advanced intermediate or better, then Selkirk Tangiers is a great option. How so? Well, they match skiers and riders of the same skill level so the day is one to remember! 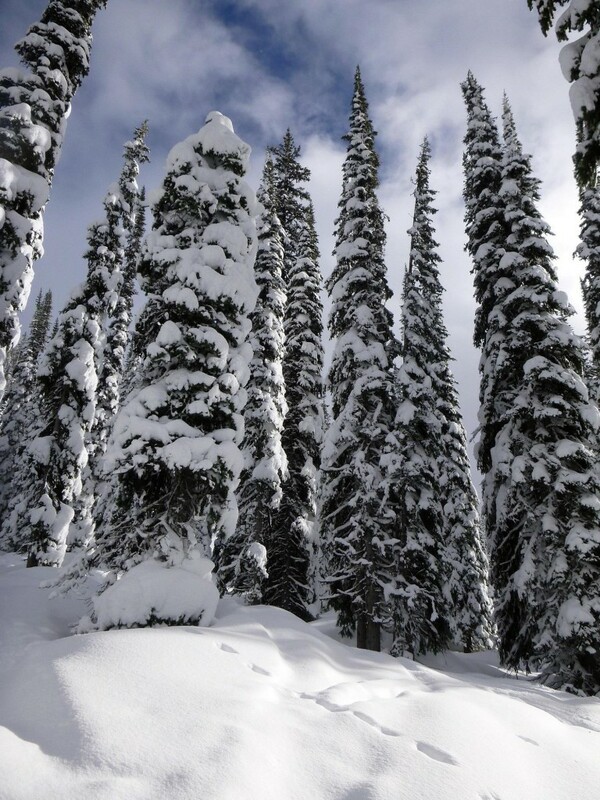 Located just a few minutes outside of Revelstoke, BC it’s a great choice if you want to try heli-skiing. This is based on the fact that they forested and open bowl terrain so if the weather is inclement then you ski in the glades. If it is blue-bird then you ski in the alpine. Depending on your bank roll or the amount of time you have, there are a several options to choose from. Regardless of which package you select, all include Selkirk Tangiers epic cuisine. Items like eggs, waffles, and bacon fill the breakfast buffet while gourmet soups and delectable sandwiches take care of your lunch in the mountains. So, what are your choices for heli-skiing? One of the private helicopters available for anyone who has some dough. Single Day: This is a good choice if you’ve never done heli-skiing before. You get an idea what it’s like along with a good intro on how a typical day feels like. Helicopter assigned to more than one group: For multi-day and single-day outings each helicopter is assigned two-three groups. Don’t worry, the helicopters are so fast that you won’t be waiting to get picked up at the bottom. Pay to play: You only get a set amount of skiing in a day. This means once you hit your threshold like 5 runs or 50,000 vertical then you will be charged an additional amount to ski/snowboard. Snowboarders bring retractable poles: There will be at least a few runs where the helicopter will land in a flat valley. Instead of trudging through waist deep powder to get to it bring a retractable pole to help you easily navigate through these flat sections. As you may have read in our Back to School series the backcountry is a very dangerous place if you are not prepared. Like all things in the wilderness, safety is subjective but at the same time it’s paramount. That being said, there is a TON of energy exuded by each heli-skiing operation to make sure that each guest is kept out of harms way. No matter how much effort is put in, it comes down to the fact that you must follow your guide’s instruction. Continuous Discussions: Every morning @ 7:00 a.m. and evening @ 4:30 p.m. the guides meet to discuss what they have observed in the backcountry. They talk about things like are there certain aspects that should be not ridden? Has anyone seen any avalanche debris from natural triggers? Based on these discussions the terrain that’s available to them gets opened and closed. These decisions are constantly being developed, re-iterated and confirmed over and over again to make sure everyone gets home that night. InfoX: This is the computer application that all Canadian mechanized operators such as catskiing and heli-skiing operations must use to enter their field findings into. A very useful tool to know what’s going on across the region and country. 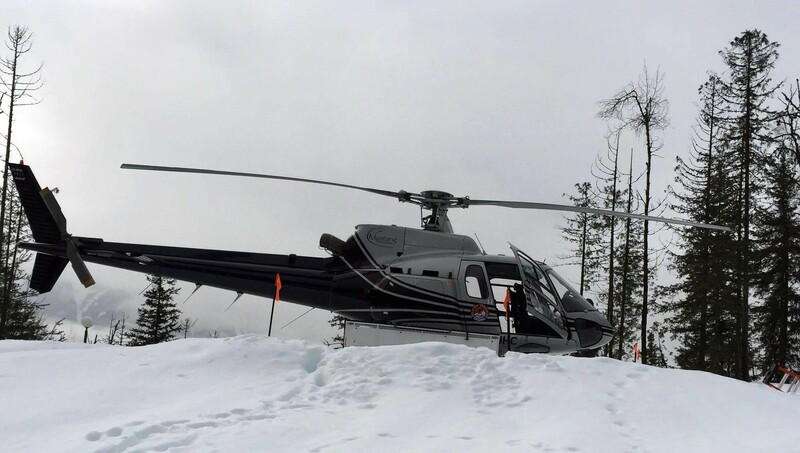 What happens on a day you can’t heli-ski? Revelstoke Ski Resort. Not a bad option when you cant heli-ski. As stated above, in a typical winter there are only 1-2 down days a month. Unfortunately, this season has been a rough one. Since helicopters don’t have radar they need to visually see where to fly. 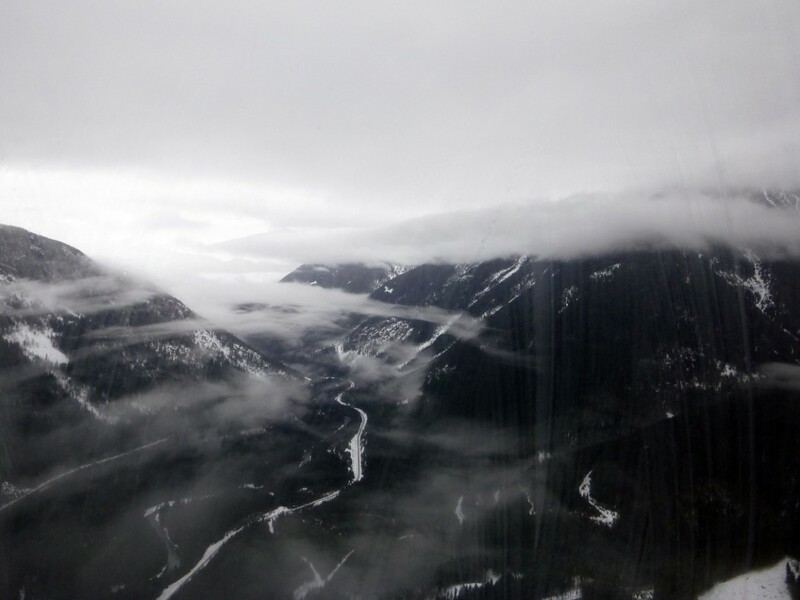 During our stay in Revelstoke there was too much valley fog and no helicopters could fly that day. When this happens you are given a refund. Selkirk Tangiers keeps the $100 deposit. This deposit can then be used any time that year or next season. 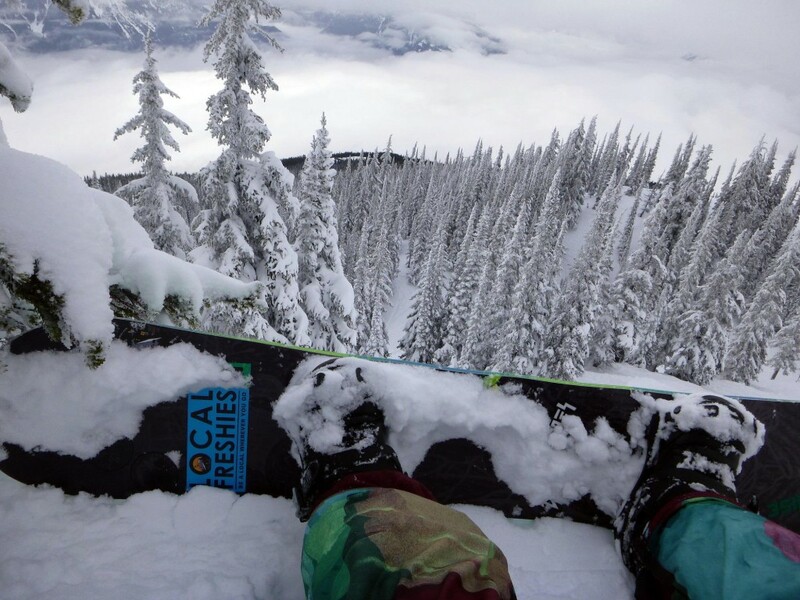 In this instance you are also provided free shuttle service and a lift ticket to Revelstoke ski resort. That way, you still get a day of skiing in. When should you go heli-skiing? 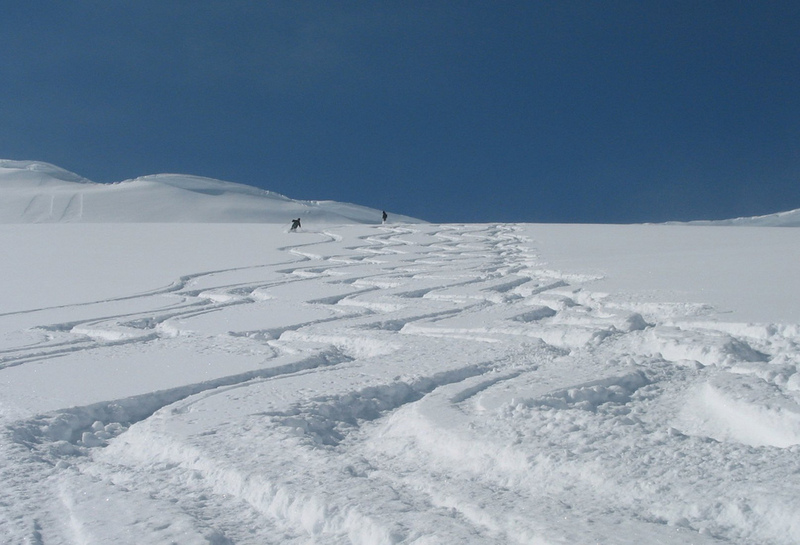 Selkirk Tangiers Heli-skiing usually starts traveling into the backcountry to assess the conditions around the first week of December. Depending on snowpack, operations start around mid-December and last until the second weekend in April. Early season: Expect to ski/snowboard deep powder in perfectly spaced glades with tons of fresh snowfall. Storms come in at a furious pace, so the opportunity of getting into the alpine is slim. Mid-season: Storm tracks slow down and give the opportunity of getting a nice mix of both tree and alpine skiing. Of course, this is also the most expensive time to visit. Late-season: Weather becomes warm and sunny which means nice corn skiing in the alpine. On average, around the last week of March into April they will have one to two weeks of HUGE storms that can make it feel like its mid-winter. They have more than enough snow to go much later, but the demand wanes. In summary, Selkirk’s number one priority is great service. Their goal is to provide a stress-free environment that is enjoyable for everyone to make it a once in a lifetime experience. Even on the busiest day there are only 100 skiers accessing 500,000 acres of slopes meaning first tracks for everyone. If it’s your first time or you’ve gone many times Selkirk is a great option for all those hungry powder hounds across North America.